Bally is one of those dream brands that we are so excited to work with – their luxury heritage is pretty amazing to learn about (nerd alert, love this kinda stuff! ), and their products are pure quality that will last you forever! You know we love their retro sneakers, and today we’re sharing a few pieces from their new season. 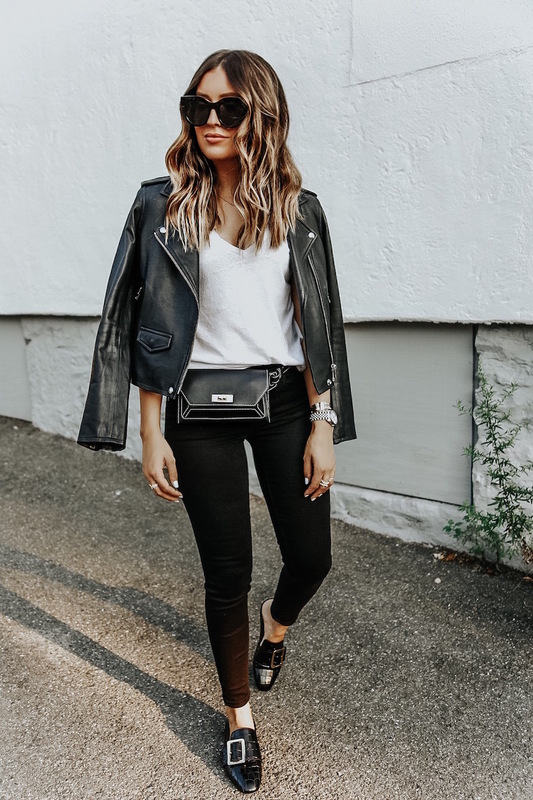 So excited to be sharing a few new season pieces today – the Janelle loafers and the perfect little belt bag. 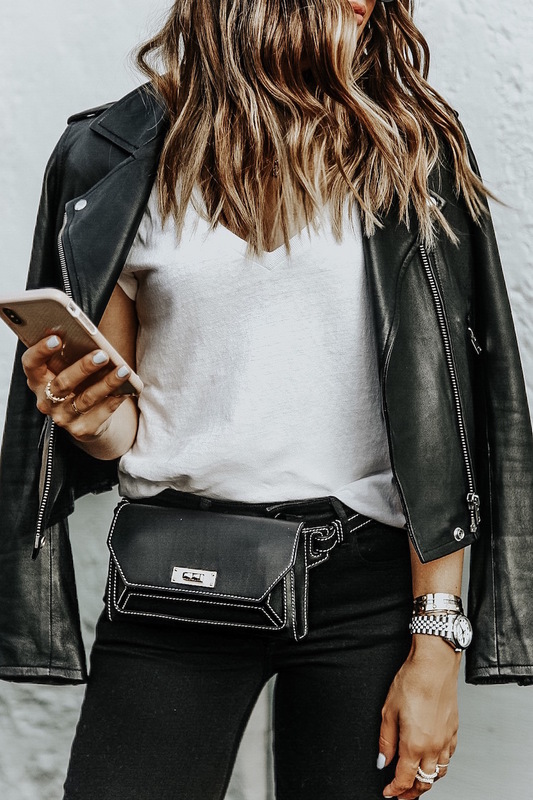 I’ve been wanting a belt bag for so long, and this one is so fun, big enough to fit my phone and card case, and just chic. I love love love the white stitching on the black leather. The closure is actually a B when you’re looking down on it. I love all the attention to detail like that! 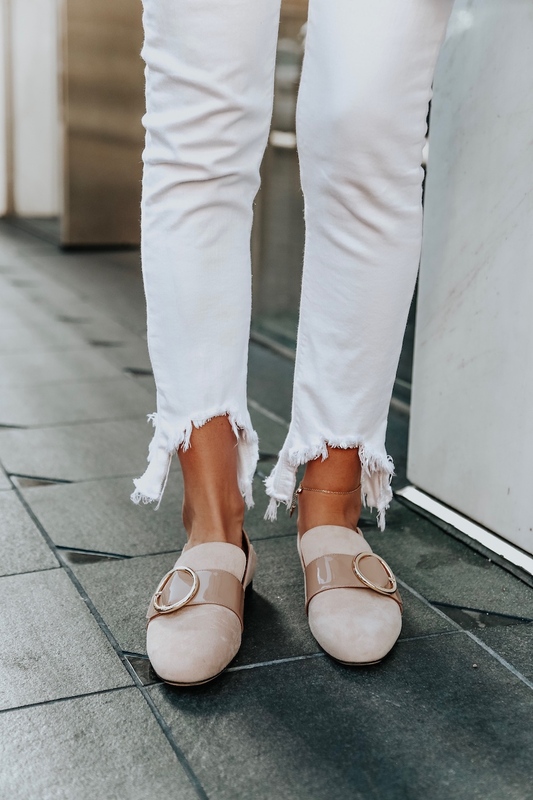 I love these loafers paired with skinny jeans, boyfriend jeans, and dresses. The croc embossed leather is so good. How great is the croc? All the heart eyes! Accessories are honestly the only thing I’m excited about buying lately…my bump seems to be growing at a rapid pace and things are starting to get tight in places they weren’t before! The perks of pregnancy right!? 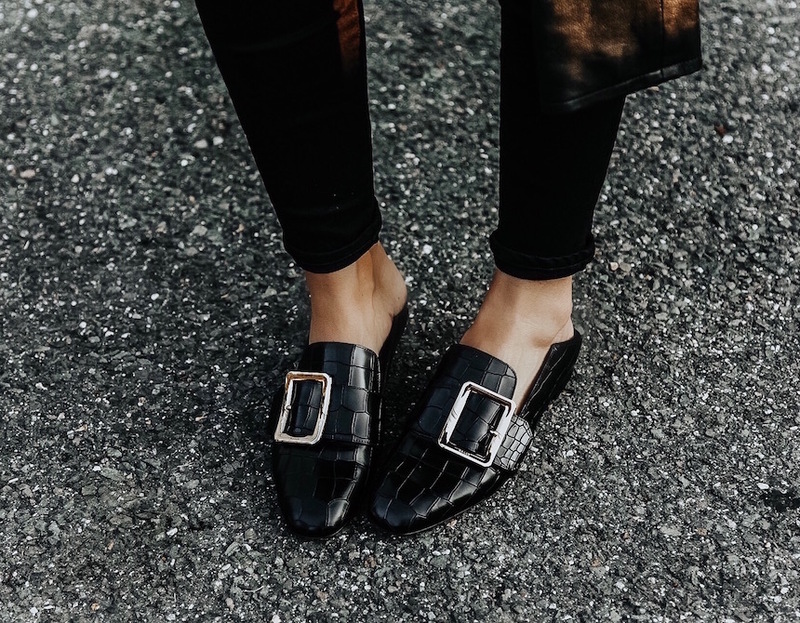 😉 These loafers are going to be so perfect for fall. 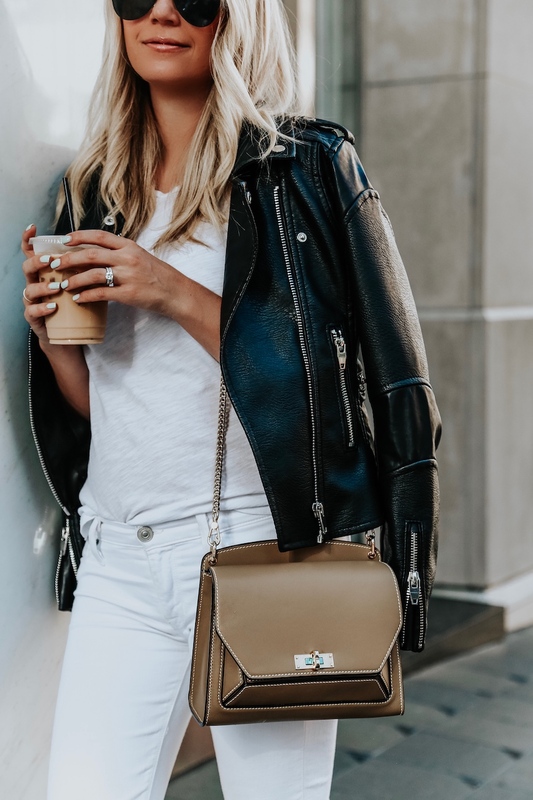 I love the mix of suede and patent leather – and the gold hardware really sets them off! They also come in black, pink, and a burgundy that is sooo amazing. If you haven’t checked out Bally’s handbag collection, you need to right now. They’re so well made, sturdy, and the designs are gorgeous. 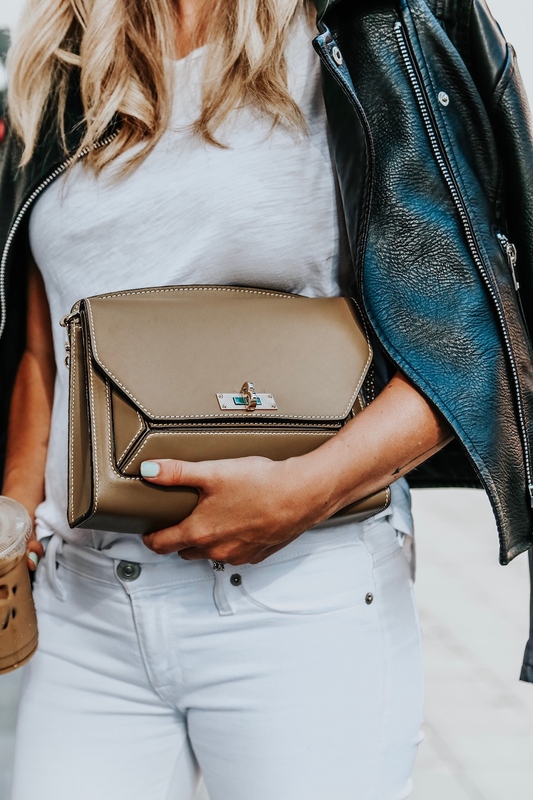 I snagged the Suzy Medium bag in beige – it’s the perfect shoulder bag and can also be carried as a clutch under your arm. I didn’t have any bags this shape which is why I decided to go with this one. So fun and different! Isn’t the color amazing?! I also love it in black with studs…adding it to my wishlist! I love the bags! 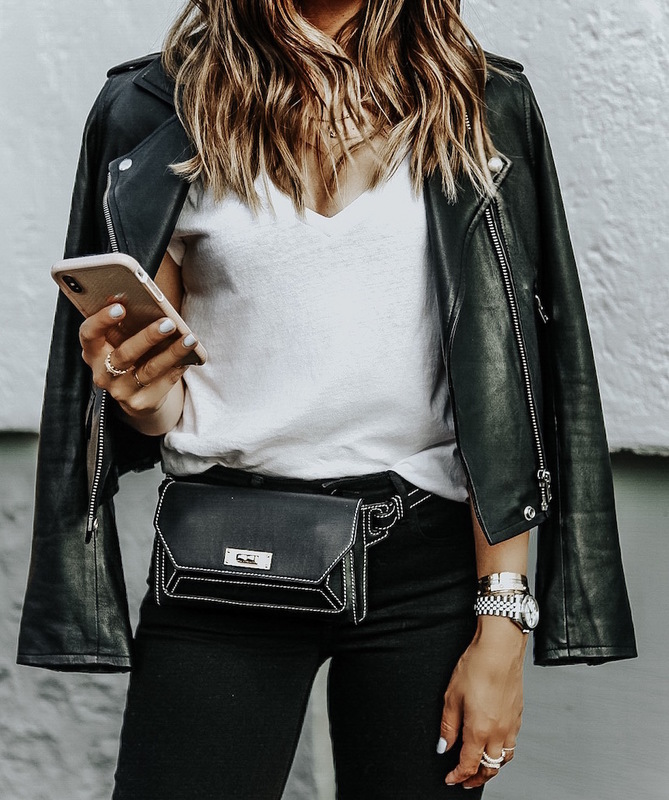 So cute and classic! Great pieces! I have never really consideted buying anything from Bally but I am definitely intrigued now! I especially love the black croc leather loafers! Love both of those bags!